المهنة صارت على محك انقسام لا شفاء منه، وقصتنا الصحافية نحن في العالم العربي، وهي قصة العالم أيضاً، صارت قصتين. ولم يعد ممكناً في ظل الإعلام الممول من هذا الانقسام السياسي تعقب الوقائع وصياغتها وتقديمها للقارئ من دون إخضاعها لمنطق الانحياز الذي يشطر إقليمنا. لكل حدث قصتان، ولكل قتيلٍ قاتلان، فيما الوصول إلى الحقيقة لا يقتضي جهداً بقدر ما يقتضي قدرة على التخفف من هذا الانقسام. Our profession is on the rift of an incurable divide, and our journalistic story in the Arab region, as in the rest of the world, is now two. Basic principles of factuality and impartiality in reporting, have become increasingly impossible to achieve in light of the growing political polarization plaguing our countries and funding most mainstream media organizations there. It is not two sides of the same story anymore, but two stories for every event. Two killers for every victim. لكن لن نكون القصة الرمادية بل سنكون متمسكين بكتابة قصة تسبق وقائعها، وظيفتها السياسية وتكون مادة صحافية عارية من أي قول آخر.. “درج” يسعى لأن يكون صلة وصل وعبور بين قارئ جديد وصحافي جديد. والقصة المُنتجة أمامها مهمة إقناع وفق شروط مختلفة. كيف يمكن فرضها على متصفح من هاتفه، وعلى سيدة لم يسبق أن كانت جزءاً من طموح الصحافة المكتوبة، وعلى طالب جامعي يملك مهارات تؤهله لأن يكون صحافياً فرداً ينافسنا بمدونته؟. نشعر أن المهنة أمام فرصة جديدة، وأننا لسنا على شفير انهيار القطاع. التكنولوجيا فرصة هائلة على الصحافي أن يختبرها، وبوادر .الثمار التي لاحت في الغرب تؤشر إلى أن الحاجة إلى هذه السلطة قائمة وملحة وان القدرة على التأثير أصبحت مضاعفة. The Third story we pledge to write in Daraj will not be grey, but our reported stories will be loyal to the principles of factual and impartial journalism. 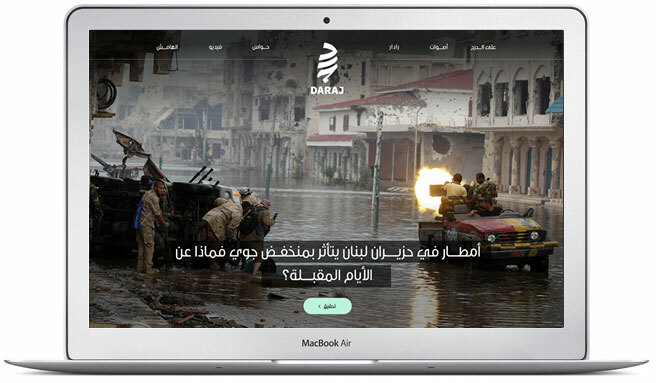 Daraj aims to be a connecting tool between a new reader and a new journalist. The stories we produce will aim to be convincing and self-imposing in a new world with new rules. How we could make Daraj a necessary destination on the mobile screens of a restless young crowd, or that of a middle age woman who never cared about the ambitions of journalism, or the emerging journalist, still at school, who is confident about the competitiveness of his blog and who believes his generation is one that will embrace better journalism and better journalists, is a question we will be asking ourselves every day. Despite the dire realities, we see great opportunities and we don’t believe journalism is on the brink of failure. We believe in the need for journalism and the impact it could have, even here. Even if in a while. Technology has given us tremendous power we have an obligation to test and we see great potential. في ظل هذا الواقع قرر عدد من الصحافيين والإعلاميين مباشرة تجربة من خارج سياق هذه المعادلة. هم في متوسط عمرهم المهن واختبروا المهنة في غرف أخبار مؤسسات إعلامية عربية كبيرة، ورأوا أن مفترقاً بدأ يلوح وأن فرصة في الأفق تستحق أن يغامروا من أجلها.  It is in this context that we, a group of mid-career professional journalists with long experience in the leading mainstream media, decided to engage in an experience outside the limitations of the current situation. We see a crossroad and an opportunity worth taking risks for.